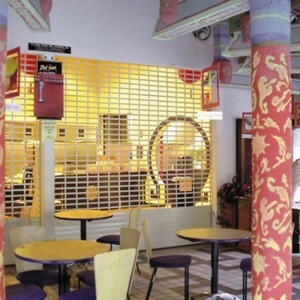 Security shutters are an unobtrusive security product which provide structural pyhysical resistance and a powerful visual deterrent. 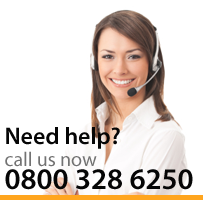 They are ideal for any building where security is of the utmost concern. 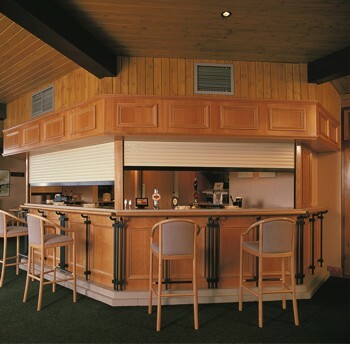 All of our security shutters are purpose made to meet your exacting needs. 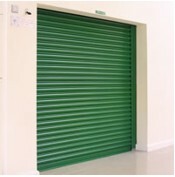 Security shutters can be installed inside, inbetween or outside the door or window to be protected. The best functionality will come from installing outside of course to protect the window or door from a forced attack. Fitted internally will still be fine but wont stop any vandalism to the door or window. 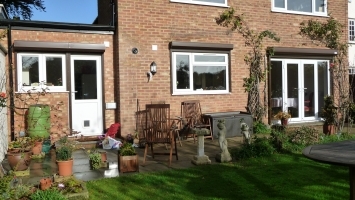 Built-on externally fitted shutters can be seen as a lower and easier cost option as there is not as much work involved in installing the shutter to the exterior of the property. 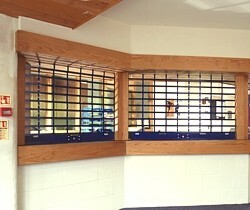 The uniquely neat finish of security window shutters is particularly evident when they are built-on to an existing building with compact aluminium boxes, styled and painted to minimise their visual impact. When installing inbetween or inside a lot more attention has to be given to the running of power cables and surface finishing on guides, etc. They are extraordinarily easy to operate - they can be operated manually or with the help of an electric motor. 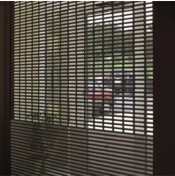 Where desirable punched or perforated slats can be added to provide varying levels of vision and light. 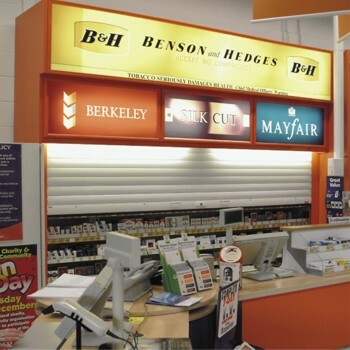 Balancing the demands of security and display with a solution which meets concerns about crime yet still presents an open for window shopping appearance is the strength of see-through security shutters. Demanded by planners, or an opportunity for generating trade - vision is promoted with a range of designs suited to almost every application. 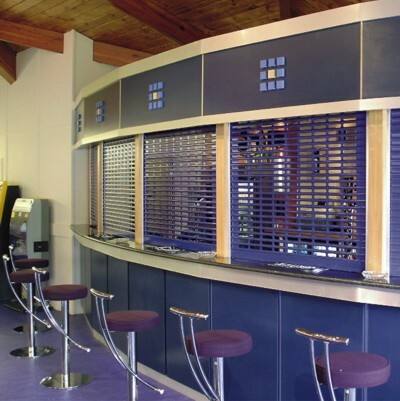 Retail shop fronts, commercial premises and offices seeking a less oppressive look to security have four profiles to choose from. High specification domestic applications are also favouring the appealing mix of light and security. 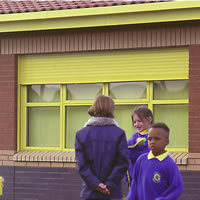 All shutters are able to mix solid and vision sections to optimise performance. Back lighting of the shutters combined with darker curtain colours greatly improves the perceived level of vision by virtue of the higher contrast between internal and external light levels. Security shutters for your home provide an effective, physical barrier to deter intruders. With vandalism and burglary continuously rising, they offer peace of mind when premises are occupied or vacant. 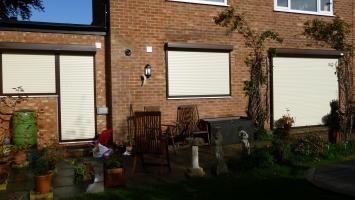 The shutters can be either installed internally or externally and are both operated from inside your home by swivel belt, manual push up and down or electric operated, each, allowing a quick exit in the event of emergencies. For exit doors or patio doors the shutter may be internally or externally opened via a central lock. Locking bars locate into the side guide rails. The neat finish is evident when fitted to your property with their unobtrusive roll-up boxes and maintenance-free powder coated standard colour finishes. 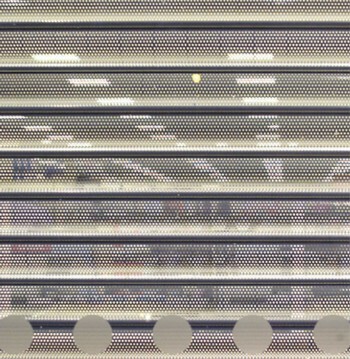 We provide a wide range of commercial security shutters for schools, bars, warehouses, factories, shops, shopping centres. Call us today for more information on 0800 328 6250.
aluminium security shutters with a small hood cover. openings with a medium security risk. with good levels of vision. light and heat insulation and control. Lightweight. 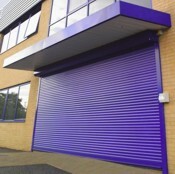 Buy Security Shutters Direct from Samson Doors! Samson Doors supply a wide range of high, medium and low security shutters which are readily available to order in our online shop.